Steam Railway SR489 - on sale now! In this month’s edition of Steam Railway, we explore one of the most significant issues facing preservation today – coal. Thomas Bright studies the problems surrounding DEFRA’s proposal to phase out the sale of coal to households, and breaks down what impact its new regulations could have for railways and steam locomotives. We also get under the skin of the sometimes unloved and somewhat misunderstood Ivatt ‘4MT’ No. 43106. Toby Jennings discovers what it is like to live with the ‘Flying Pig’, and what Severn Valley Railway crews make of their unique steed. Elsewhere, we try our hands at signalling, round-up and analyse the Southern new-build projects, and find out how the Germans rescued one of the Harzer Schmalspurbahnen’s famed 2-10-2Ts when it got stranded in the snow near the summit of the Brocken. 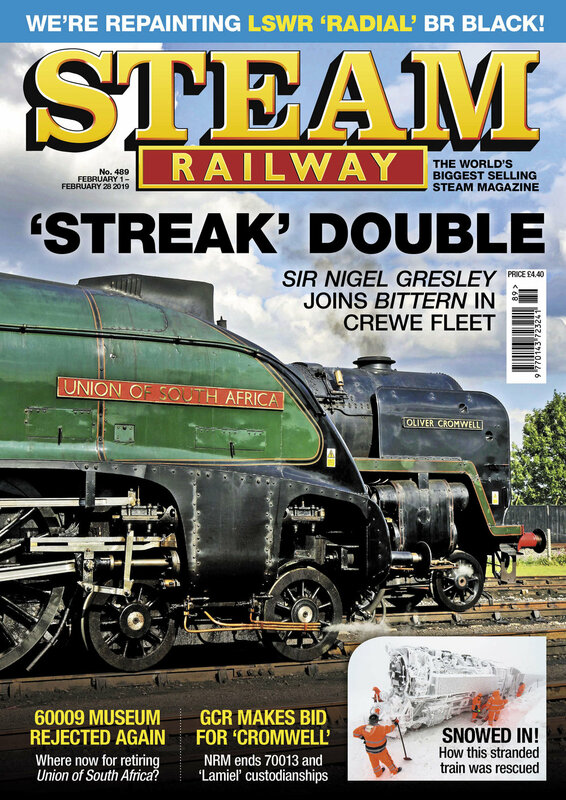 There’s all this and more – including our regular Down Main, Top Link, narrow gauge, industrial and Irish steam news columns – in the latest edition of Steam Railway. On sale now!